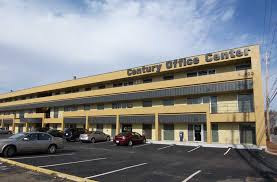 The Century Office Complex on South Memorial Parkway is a large yellow eye sore that most people drive by without noticing. It is old and warn down looking. It houses numerous small businesses that only those who frequent would be aware of. The Complex has been there forever. My first memories of the office complex were from the 1990s when it was a Ramada Inn. It seemed old and and grubby even then. I stayed there once as a child. I remember laying in the bed and watching the cockroaches climb up and down the curtains. Recently, I bought a business there. My ownership of the business was a flash in the pan. We took over, realized it was in bad shape and unsaveable, and then we closed it very quickly. It was a sad, emotional time for all of us involved in the process. Owning the business gave the co-owner and I a significant amount of time alone in this century office complex building. Between the two of us, we probably spent over 1000 hours in there, working on repairing wiring and fixing props. I designed a room by myself in the back. I spent hours there at night, alone in the dark, wallpapering and laying out props. The darkness creeps up on you when you are alone in a building of this size. At first, I thought it was just me. When you are alone, your imagination can get the best of you. I thought that all the noises I was hearing and that sense of dread I felt was just my imagination. I was tired and emotionally overwhelmed. When lights flickered or noises filled the building, I attributed them to bad wiring. However, the business co-owner, Deanna, told me that the building was haunted one day. I smiled. I had thought the same thing. At night, when I was alone, strange things would happen. We had a room called Wonderland. It was filled with electronic gadgets that were designed to be activated when you pulled on them or touched other things to them. At 2am, I often heard these gadgets turning on and off as I was working. The hanging vines that played music would sing to themselves. Deanna indicated that one night she was there, the vines hadn’t even been powered on and she heard them go off. The final straw for both of us came after we installed new cameras in one of the rooms. The cameras picked up a plethora of orbs (which are unreliable evidence) and several ghostly blurs that drifted in and out of the room from time to time. Deanna brought in a medium. At this point, we knew the business was dying and or dead. We just wanted to know what was going on in the building. The building felt wrong and we wanted to know it wasn't just us. The medium wouldn’t even walk in certain rooms. She stood at the doorway gazing into the darkness. She said there were angry spirits there. The spirits were not happy and the building was a bad place. We did a cleansing hoping it would help the building and our business. It didn't seem to help either. We went out of business the next day. Our business closed and the doors shut, but I remained curious about the history of this old motel and office complex. I knew the building we were in had previously been another escape room and before that it had been a church. The church had gone under and so had the escape room. I couldn’t find much remarkable in the history beyond that. However, I did find a book that told an interesting storing about a murder at the Ramada Inn Bar in 1992. The book, called Killer for Hire, documents the murder of Dr Wilson, a local ophthalmologist, by twin sisters Peggy Lowe and Betty Wilson. The sisters hired a James White to murder Dr. Wilson at the Ramada Inn Bar. I don’t know if the murder had anything to do with whatever was haunting our building, but it is strange to find out that a building we believed was haunted was also the site of a murder. Even stranger was that my husband knew the man who was murdered there. He had no idea and the connection had been long forgotten, but the haunted building we rented, was the site of the murder of someone we knew. We can never say for sure if any of this was connected but the medium felt something angry in that building. I don’t know what was angry or why it was there, but I do know that those of us who spent long, lonely nights working in the building saw and heard things we couldn’t explain. I've been terrible about following your blog, but I'm very happy to see you're still writing. I saw your posts on FB about your business. At least you can walk away with creepy stories about the building!